Red Tailed Boa | Zoo Med Laboratories, Inc. 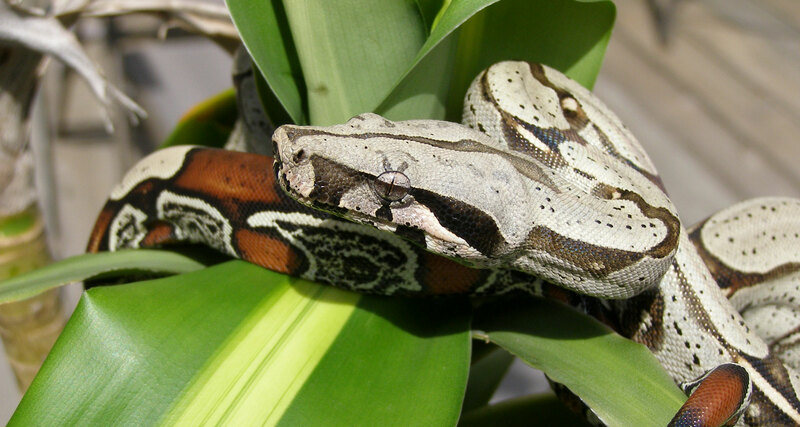 The Red tailed boa is among the most common and well known species of snakes kept as pets. The common name Red tailed boa refers to one of many types of boas found throughout Central and South America. These snakes can grow to a large but manageable size and are recommended only for keepers willing to provide adequate space for adults. The friendly demeanor and attractive coloration have made the Red tailed boa one of the most sought after snakes in the hobby. These tropical snakes are commonly bred in captivity and we recommend purchasing captive bred animals only. Zoo Med’s Eco Carpet™ can be used as a safe, environmentally friendly and easy-toclean substrate.